Serving The Inland Northwest For 4 Generations! We believe that quality, honesty, and valued work ethics lead to a quality product! "Our promise to you is a quality product at an honest price." "Family owned and operated business for over 100 years." 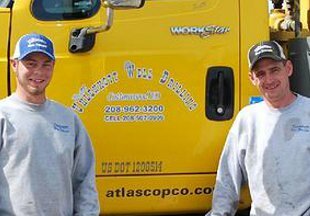 "Quality, honesty, work ethics lead to a quality product"
"Brett and Dustin, 35 years of licensed drilling experience." Our promise to you is a quality product at an honest price. 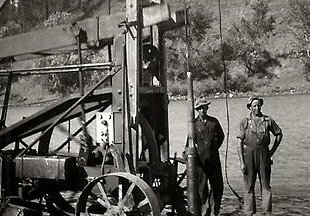 Uhlenkott Well Drilling has been a family owned and operated business for over 100 years. We have served the Inland Northwest with pride and integrity. 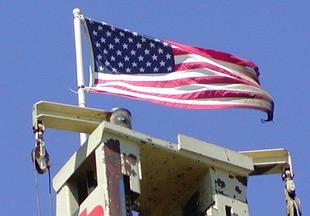 Our reputation is unsurpassed and we look forward to helping you with your next drilling project. Uhlenkott Drilling utilizes the latest drilling techniques to achieve speed and accuracy. This time savings leads to cost savings for the consumer. For well over 100 years Uhlenkott has been serving Idaho and Washington residents. 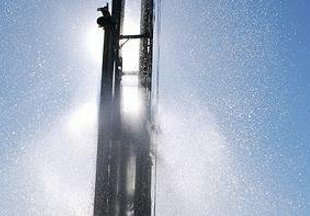 If you are looking for the best well drillers in the industry today, then look no further than Uhlenkott Drilling. Uhlenkott is a true professional water well driller. Not only did he do a great job on my property in Council, he did it in half the time of his competitor who drilled a lot next to mine. His rate was also thousands less than his competitor. His competitor said I needed to drill over 400 feet. Brett was able to get me over 40 g.p.m. at only 200 feet. I highly recommend Uhlenkott Drilling. Thank you guys!